Follow RT for the news and updates on art and culture, including an anonymous England-based street artist and political activist Banksy, who is also often called a vandal. Find the news on RT about Banksy’s technique and works, which are the combination of dark humor and graffiti. 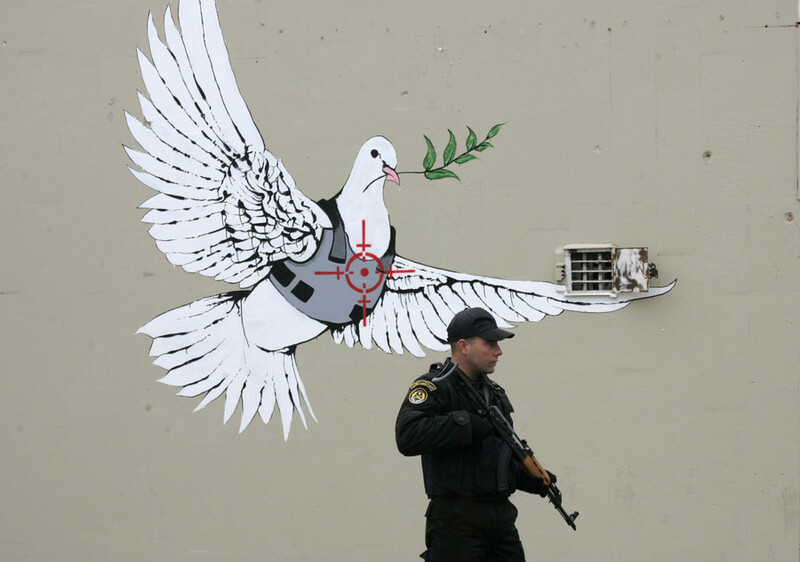 One can find Banksy’s art on walls, streets, bridges, and so on, around the world. Get news from RT on the background of Banksy, who is believed to have emerged from the Bristol underground scene. Banksy claims he doesn’t sell photographs or reproductions of his art, yet auctioneers often try to sell his works. 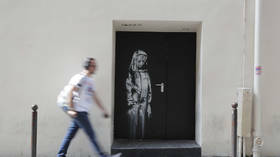 Check out RT.com on a Banksy exhibition in Moscow, which turned out to be ‘unauthorized.’ Read RT to get the news on comments by Banksy on that exhibition and his street art. 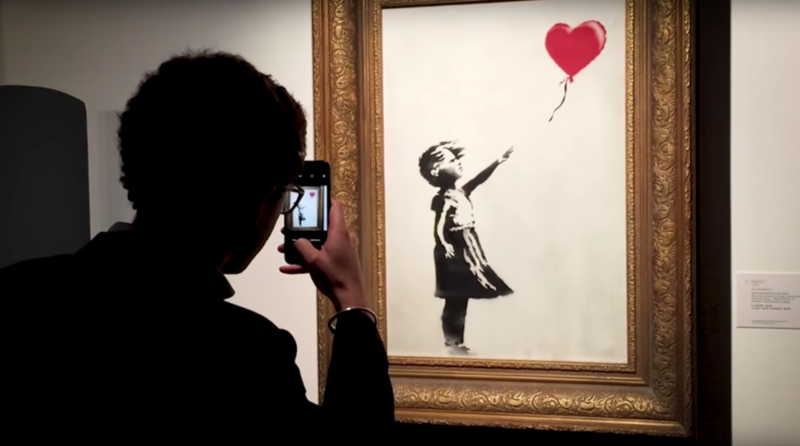 Banksy has offered more proof that the partial shredding of his work ‘Girl with a Balloon,’ which fetched a record sum at Sotheby's, was not staged, explaining that the mechanism must have malfunctioned during the creative stunt. 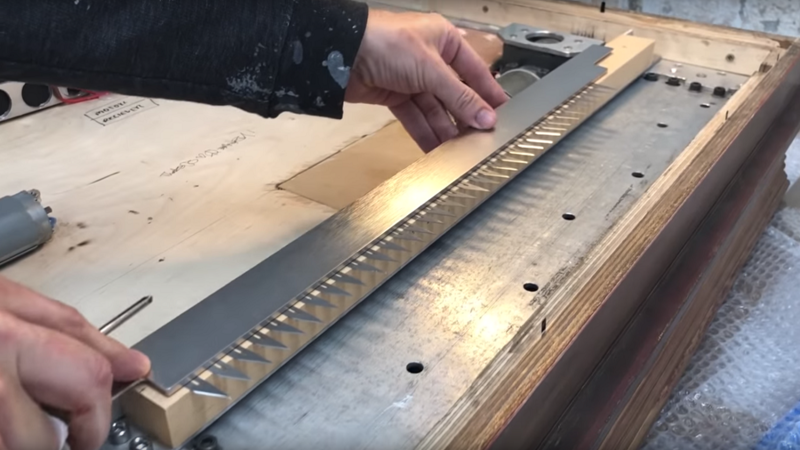 Famous street artist Banksy has published a video, revealing how he secretly built a shredder into one of his paintings years ago and showing the moment it got ripped to shreds, after selling at auction for $1.1mn at Sotheby’s. 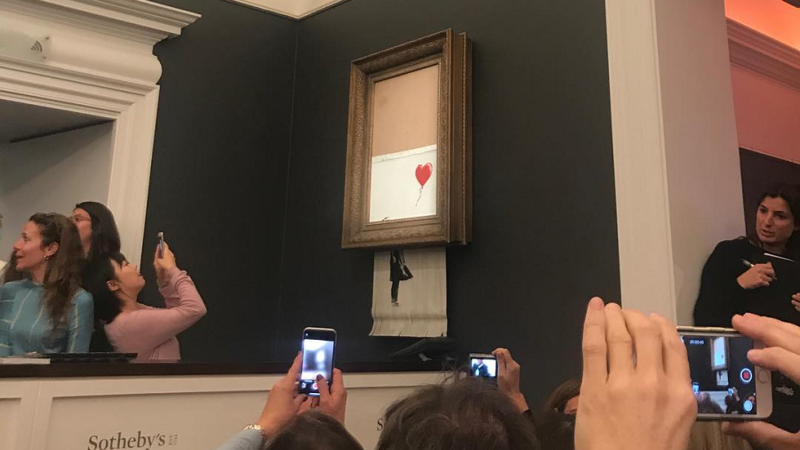 The elusive world-famous British street artist Banksy has reportedly pulled off one of the greatest art heists, allowing his own painting to self-destruct, just moments after ‘Girl with a Balloon’ had fetched over £1mn at auction. 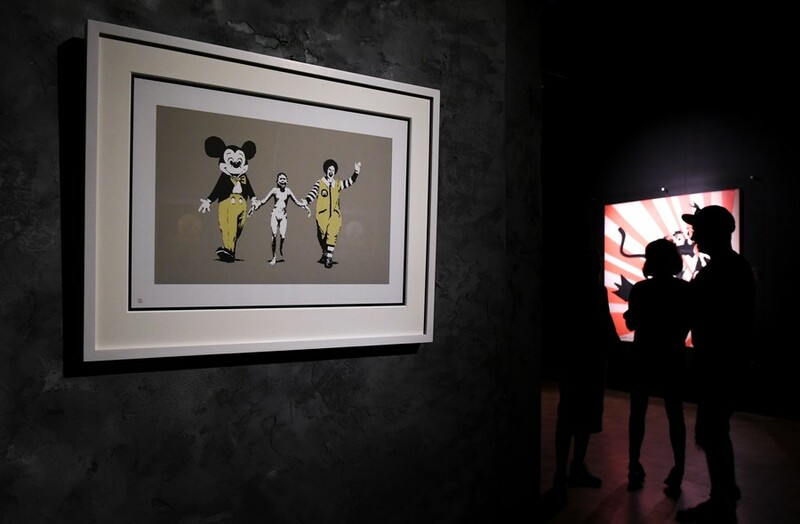 Famed street artist Banksy has weighed in on an ‘unauthorized’ art show of his work in Moscow, with the exhibition organizer insisting that the artist’s Instagram commentary is an “ironic” nod at the exhibition’s success. 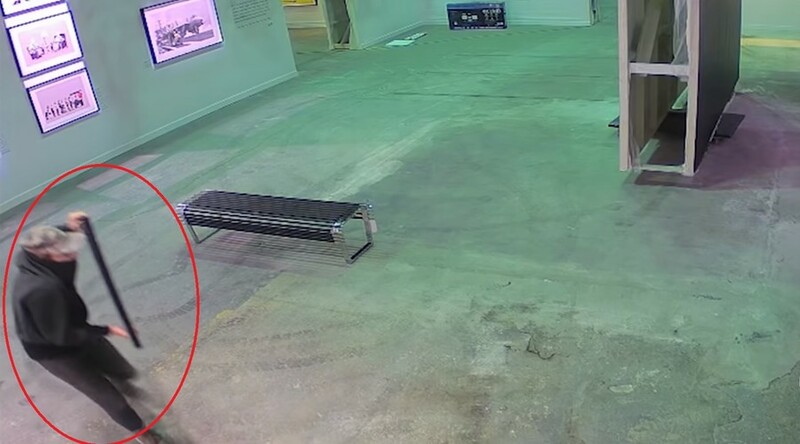 The moment a thief steals a Banksy print from the walls of a Toronto gallery and strolls out with the artwork in his hands has been captured on CCTV.